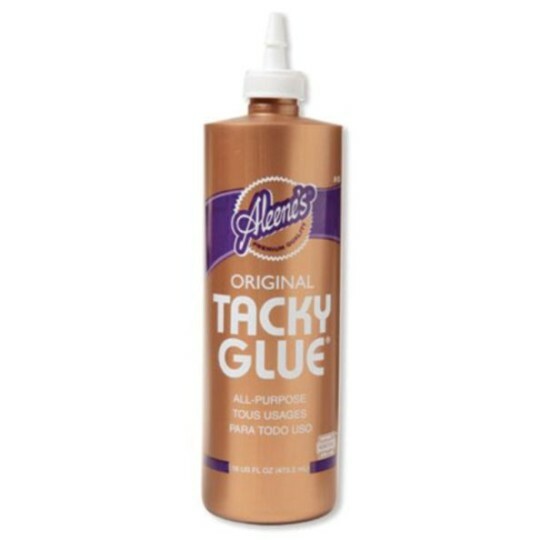 Tackier than "white glue" so you use less. Allows for 5 freeze/thaw cycles. 16 oz Washes out with warm water. Not intended for machine-washable, wearable fabric garments. This is my favorite glue. This is the best type of glue for crafts and repairing broken things. I highly recommend it. We use this glue for EVERYTHING!! Felt plastic Styrofoam paper even dried dough projects that have broken. With less run have less waste. We have the children hold the items together while counting to 5 or 10 and never have issues with projects falling apart. Large quantity bottles for a great price too! Had been using Elmer's glue for the back of our copper pictures it seemed to buckle the material and Aleene's does not we are thankful for that.